Join us for outdoor yoga classes led by local teachers at the beautiful Reflecting Pool at the Fairmount Park Horticulture Center. This class is not suitable for first time yogis. Please bring your own yoga mat and water! 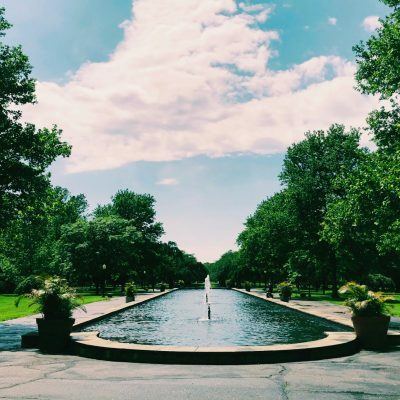 Our outdoor vinyasa yoga series takes place once a month August through October at the Reflecting Pool at the Fairmount Park Horticulture Center. In the event of rain, the classes will be moved into the Horticulture Center. Please direct all questions to mromero@myphillypark.org.